NOW look, I wasn’t sure how interesting this would be for you, but I told a couple of locals at a barbecue last night and they were just fascinated, so here goes. You’ll be familiar with Bendigo, hoon capital of Australia? Well, an English toffee-noser actually named it Sandhurst, after the elite military academy he’d never attended on account of his debilitatingly limp wrists, but then the townsfolk rose up and voted to rename the place in 1891. 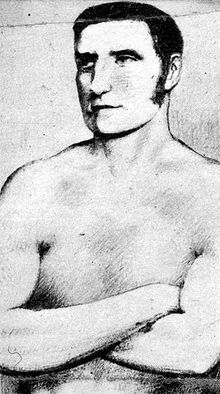 ‘Bendigo’ was the nickname of a local boxer, pinched off Brit bare-knuckle fighter William Abednego Thompson – a man who never even set foot in the pub-challenged province, or Australia, for that matter. So there you have it: Bendigo was way ahead of the rest of the country when it came to inventing silly names. Keeper? Yes, I’ll keep that nugget for dinner parties. NB: If the question “Why is Bendigo called Bendigo?” comes up in an exam, do not quote me verbatim. 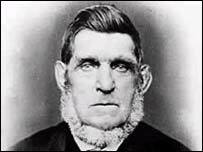 I'd grow a beard like that if I could. I adore folks that blog, it is really challenging to obtain this sort of observation almost any means. Superior job.